Our organism doesn’t use proteins in a direct way; first proteins are decomposed (hydrolyzed) into amino acids and amino acid groups (peptides) and only after this these ‘construction bricks’ are used for restoration/synthesis of muscular proteins. Amino acids are construction blocks that our muscle fibers are made of. Our organism uses them for its own growth, recovery, strengthening and production of different hormones, antibodies and ferments. The majority of amino acids are synthesized in bodies of humans and animals from regular anitrogenous metabolism products and assimilated nitrogen – these are so-called ‘non essential ’ amino acids. 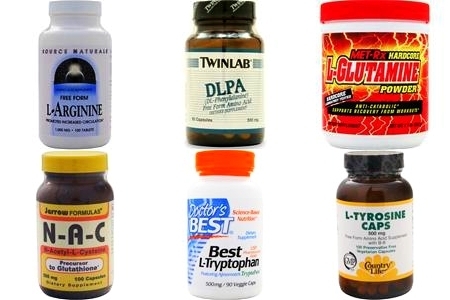 Non essential amino acids are the following ones: alanine, arginine, asparagine, asparaginic acid, glycine (glycocol), glutamine, glutamic acid, praline, serine, tyrosine, cysteine (cystine), citrulline, gamma-aminobutyric acid, ornithine and taurine. Partially replaceable amino acids are the following ones: arginine and histidine. They differ from other amino acids by the fact that our organism can use them for protein production instead of methionine and phenylalanine reciprocally. There are also amino acids that are not synthesized in our bodies but are required for normal state of our vital functions: these are so-called ‘essential’ amino acids. Essential amino acids are the following ones: valine, leucine, isoleucine, threonine, methionine, phenylalanine, tryptophan and lysine. We must receive them with our food regularly. Protein synthesis goes on in our organism uninterruptedly. If at least one irreplaceable amino acid is absent, our organism stops protein production. Absence or shortage of irreplaceable amino acids leads to cessation of growth, decrease of body weight and metabolism violations. Free form amino acids are such amino acids that are most often sold in sports shops. These are amino acids that had been already digested or decomposed in an artificial way. Still, in spite of assuarances of some experts, taking of free form amino acids is not the best variant of receiving protein necessary for construction of new muscular tissues and maintaining our body in healthy conditions. In some situations, however (for example, to achieve so-called ‘special effects’), these amino acids can be very helpful. For example, such amino acids as tryptophan and tyrosine influence neurotransmitters directly; taking such free form amino acids as glutamine and arginine assists increased production of growth hormone. It’s necessary to understand that there are three main types of amino acid supplements: BCAA, amino acid complexes and separate amino acids. 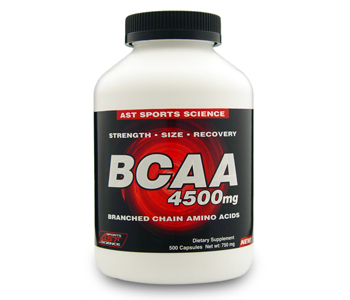 This abbreviation stands for Branched Chain Amino Acids (isoleucine, leucine and valine). These amino acids are irreplaceable ones and appear to be the most important muscle protein component because they prevent muscular tissue destruction caused by hard trainings. BCAA can also be used by our muscles as energy source though such usage is extremely unreasonable; that’s why it’s necessary to take them together with considerable amount of simple carbohydrates. These are products that contain a complete balanced set of amino acids for construction of muscular protein molecules. Such complexes include both replaceable and irreplaceable amino acids in different proportions. They are not widespread enough due to their narrower specialization. Each particular amino acid possesses a certain set of qualities; and later we’ll discuss some of them. Leucine (BCAA): can be found in all food products containing full-fledged protein: meat, poultry, fish, eggs and dairy products. It’s necessary not only for protein synthesis but also for strengthening of our immune system. Isoleucine (BCAA): can be found in all products containing full-fledged protein: meat, poultry, fish, eggs and dairy products. Valine (BCAA): is one of the most important components for growth and body tissue synthesis. The major sources of valine are animal products. Experiments on test rats showed that valine increased muscular coordination and reduced pain, cold and heat sensitivity. Histidine: assists the processes of growth and tissue restoration. It can be found in large quantity in haemoglobin and is used in treatment of rheumatoid arthritises, allergies, ulcers and anemia. Histidine shortage can cause diminished hearing. Lysine: can be found in cheese and fish. Lysine is one of important components for carnitine synthesis; it provides required assimilation of calcium and is helpful in herpes treatment. Lysine shortage may result in quick tiredness, lack of concentration, irritability, damages of eye vessels, hair loss, anemia and reproductive problems. Methionine: can be found in grains, nuts and cereals. It’s an important component for metabolism of fats and proteins; our organism also uses this amino acid for cysteine production. Methionine appears to be the main source of sulfur that prevents disorders of formation of hair, skin and nails; it reduces workload of our bladder, influences hair bulbs and supports hair growth. Threonine: is an important component for synthesis of purines that, in their turn, are responsible for decomposition of urea – a protein synthesis by-product. Threonine is also an important component of collagen, elastin and enamel protein; it takes part in fighting against accumulation of fat in liver, supports even work of the digestive and intestinal tracts and takes part in metabolism and assimilation processes. Tryptophan: is a component of niacin (vitamin B) and serotonin that takes part in brain processes regulates our appetite, dream, mood and pain limit. Tryptophan is a natural relaxant; it helps to fight against insomnia, anxiety and depression. Phenylalanine: our organism needs it for production of tyrosine and three main hormones: epinephrine, nоrepinephrine and thyroxin. Phenylalanine is used by our brain for production of nоrepinephrine – the substance that transmits signals from nerve cells to our brain; it keeps us in wakeful state and grants us the possibility to perceive outer world; it also decreases hunger sensation, acts as antidepressant and improves memory work. Tyrosine: is used by our organism instead of phenylalanine for protein synthesis. The main sources are milk, meat and fish. Our brain is using tyrosine for production of nоrepinephrine that raises our mental tone. Promising experiment results showed the possibility to use tyrosine as a means to fight with fatigue and stresses. Cystine (cysteine). If our ration includes enough cystine our organism can use it instead of methionine for protein production. This amino acid can be found in meat, fish, soya, oats and wheat. Cystine is also used in food industry as antioxidant for preservation of vitamin C in ready-made products. Alanine: is an important energy source for muscle tissues, brain and the central nervous system. It strengthens our immune system by means of production of antibodies and actively participates in metabolism of sugars and organic acids. Arginine: causes slowdown of tumours and cancer lumps; it purifies our liver, assists growth hormone secretion, strengthening immune system, assists sperm production and is helpful in treatment of kidney disorders and injuries. Agrinine is necessary for protein synthesis and optimal growth. Presence of A-agrinine in our organism assists muscle mass growth and fat deposition reduction; it’s also useful in cases of liver disorders such as liver cirrhosis. It’s not recommended to be used by pregnant women and nursing mothers. Asparagine: takes an active part in ammonia excretion that is harmful for the central nervous system. Recent researches showed that aspartic acid can increase fatigue resistibility. Glutamine: is important for normalization of sugar level, increase of brain efficiency and formation of a healthy digestion tract; it’s used in treatment of impotence, alcoholism, stomach ulcer; it helps to fight against fatigue and brain disorders such as epilepsy, schizophrenia and lethargy. Glutamine shouldn’t be mistaken for glutamine acid: these preparations have different effects. Glutamine acid is considered natural ‘fuel’ for our brain; it improves intellectual faculties, assists speeding-up of ulcer therapy and increases fatigue resistibility. Glycine: actively participates in provision of the process of formation of new cells with oxygen. It is an important component of production of hormones responsible for our immune system strengthening. Preparations of L-carnitine are considered less dangerous: by reducing growth of fat deposits this acid allows us to control weight gaining and therefore to prevent the risk of heart diseases. Our organism produces cornitine only in case of enough quantity of iron, lysine and enzymes B19 and B69. Vegetarians are more sensitive to carnitine deficit because their ration contains much less lysine. Carnitine also increases efficiency of antioxidants – vitamins C and E. It’s considered that the required daily amount of carnitine for the best fat utilization amounts 1500 milligrams. Ornithine: assists production of growth hormone that, together with L-arginine and L-carnitine, assists secondary usage of excess fat in metabolism. It’s necessary for work of our liver and immune system. Proline: is especially important for correct functioning of ligaments and joints. It also takes part in maintenance of working efficiency and strengthening of cardiac muscle. Serine: takes part in accumulation of glycogen by our liver and muscles; takes active part in strengthening of the immune system and providing it with antibodies; forms fatty ‘covers’ around nerve fibers. Taurine: this semi-essential amino acid stabilizes membrane excitability what is very important for epileptic attack control. Taurine and sulfur are considered necessary substances for control over numerous biochemical reactions occurring during aging. It also takes part in the process of purification of our organism from free radical pollution.